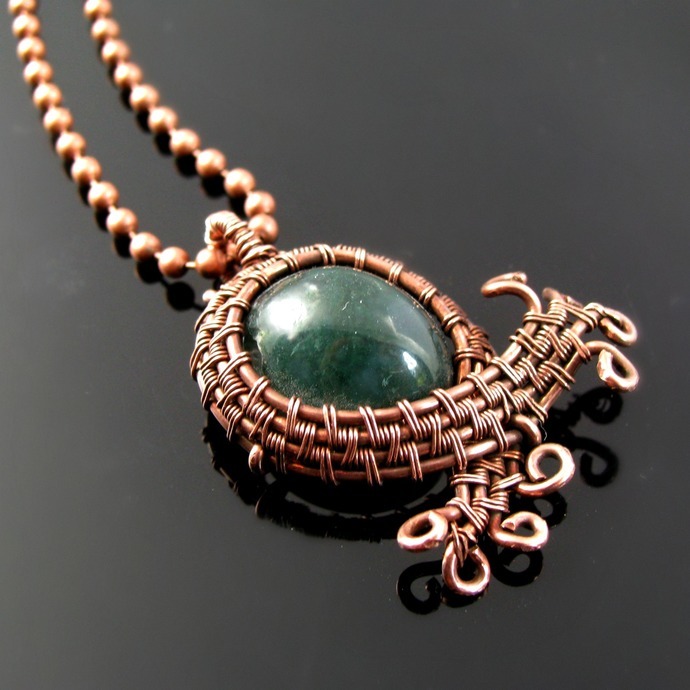 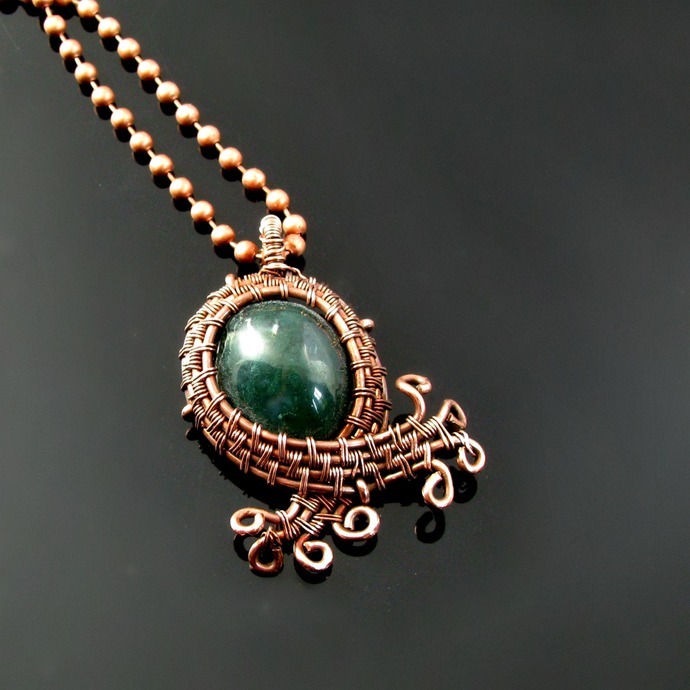 Barney is an octopus woven from oxidized copper wire with a mostly dark green moss agate cabochon for his head. 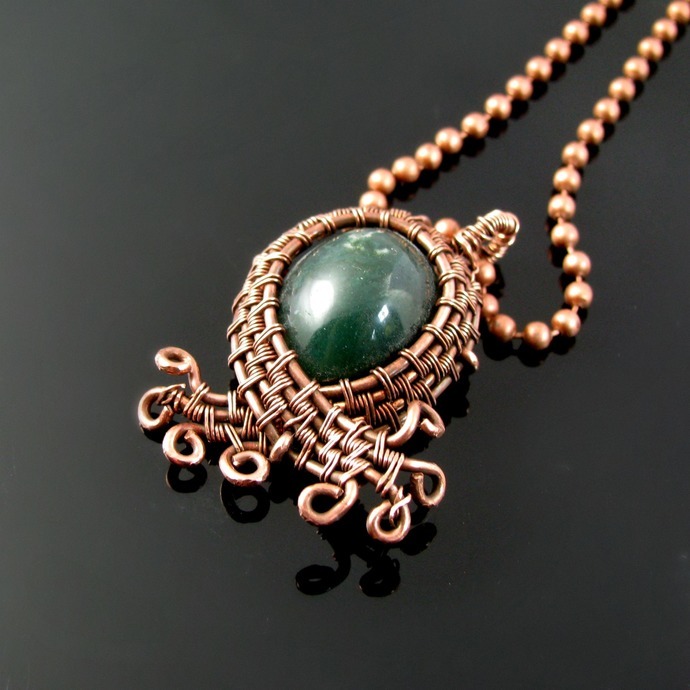 With the help of his tiny tentacles Barney insists on swimming to the left, for a date of some kind, no doubt. 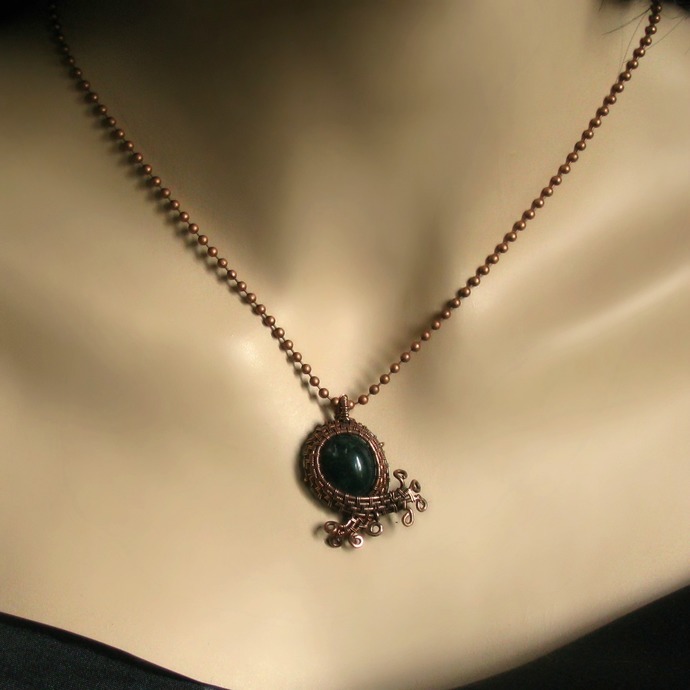 The pendant is 3.7 cm or 1 1/2 inch and comes on an antiqued copper tone ball chain of 45 cm or 17 1/2 inch.